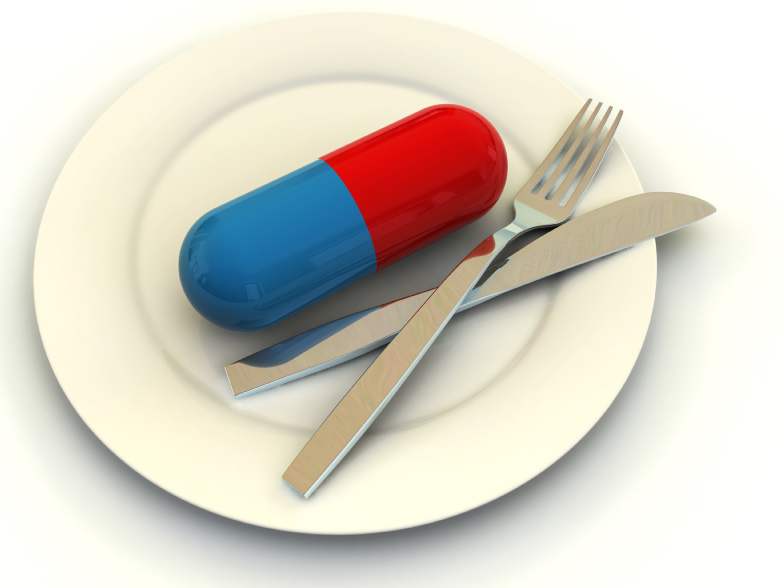 FDA Rejects Experimental Diet Pill : Shots - Health News In a move that contradicted the advice of a panel of outside experts, the Food and Drug Administration will not consider approving the diet pill Contrave without a large study to determine its heart risks. If there was one pill in the latest crop of experimental weight-loss medicines that stood a chance of getting the nod from the Food and Drug Administration, it looked like Orexigen's Contrave. A panel experts advising the agency voted in favor of approval in early December, despite some questions about side effects. Neither Arena Pharmaceuticals' lorcaserin or Vivus' Qnexa had even gotten that far. Both panels reviewing those medicines recommended against FDA giving them the green light. The agency obliged, pretty much as expected. But FDA rejected Contrave Monday, telling Orexigen in a letter that the only way the agency would even consider approving the medicine would be if the company conducted a big clinical study to show long-term use of the pill doesn't cause heart problems. "The field of obesity drugs is effectively dead," declares Forbes' Matthew Herper. The FDA's latest decision is a "clear lesson," he writes, "that weight-loss medicines simply do not have enough of a benefit to justify any risk — and that this makes getting them approved just about impossible." In a statement, Orexigen President and CEO Michael Narachi said, "We are surprised and extremely disappointed...." He said the company would "work closely" with FDA to figure out what next to do about Contrave. A likely reason for surprise is that the panel of experts recommended that a study of heart risk could be done after FDA approval — not as a condition for getting the medicine on the market.